Buy this B2B email list and take advantage of the many profitable business opportunities in Virginia. Our accurate Virginia email database gives you the information you need to connect with sales leads in the state known as the Old Dominion. Virginia is a state brimming with a diverse collection of businesses, and this Virginia mailing list provides you with the data you need to connect with others in your industry. Our email contact lists save you time and trouble when it comes to looking for promising sales leads. We give you the opportunity to download a targeted email list that fulfills all of your needs. You can buy a ready-made Virginia email list that includes the important contact information of professionals all over the state. Or you can customize your own email list: You decide on the job title, function, and industry of the individuals you want to connect with. 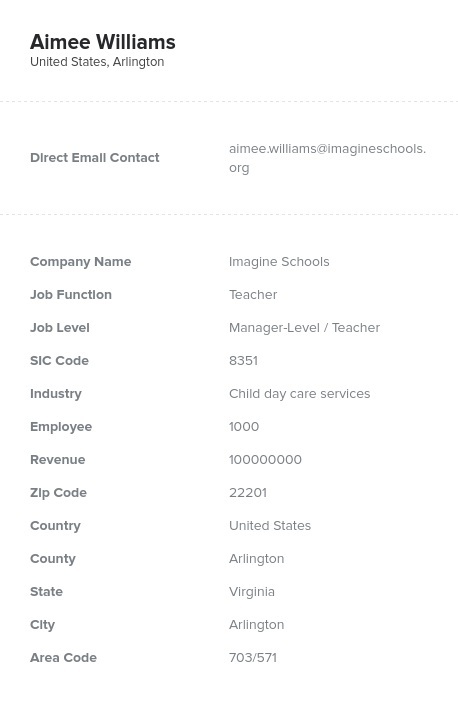 You can also target your business mailing list to the whole state or focus on a specific city, whether it's Virginia Beach, Norfolk, Chesapeake, Richmond, Newport News, Alexandria, or Hampton. Use our email database to cover all of your bases in the great state of Virginia! We've done the footwork for you. Our VA email database is full of sales leads that are just waiting to be snatched up. Purchase a business email list from us and you've taken a big step toward connecting with businesses and professionals in Virginia.